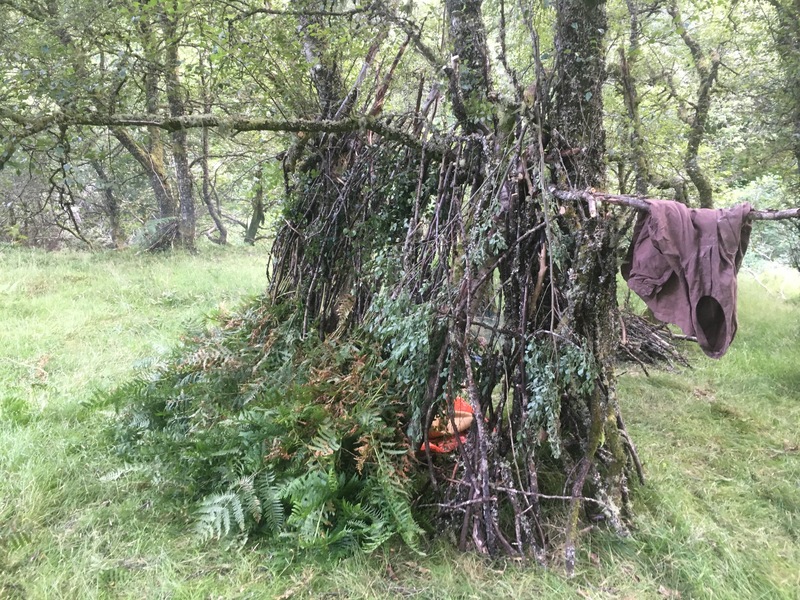 It took me three trips to separate woodlands to find a suitable site for a natural shelter. 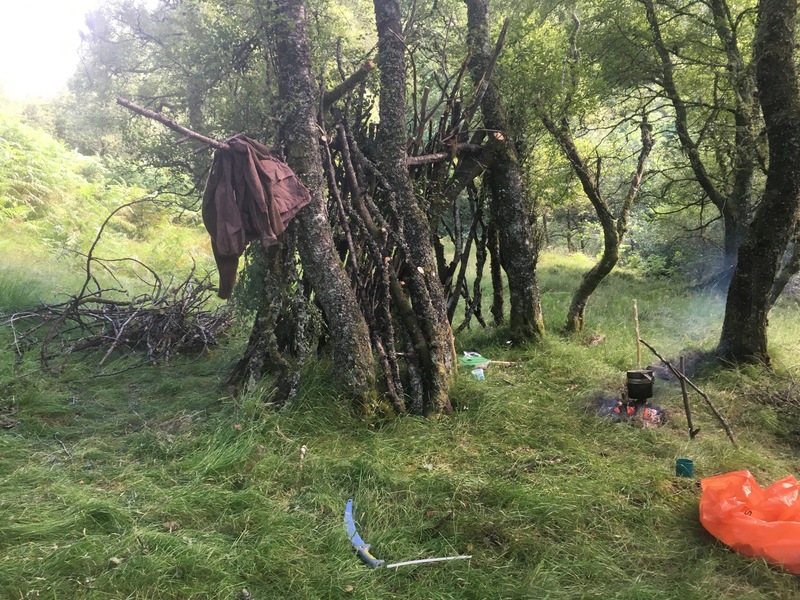 I needed a site that had water nearby, was dry underfoot with a good supply of building materials: branches for the structural pieces and thatch. I found this site in July in a deep sided river valley. 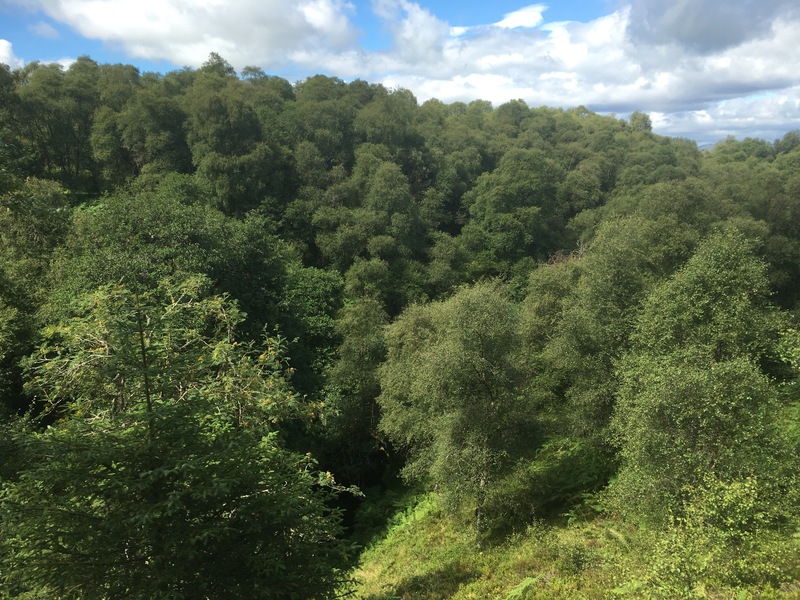 The ground was dry with three birch trees spaced a few metres apart. 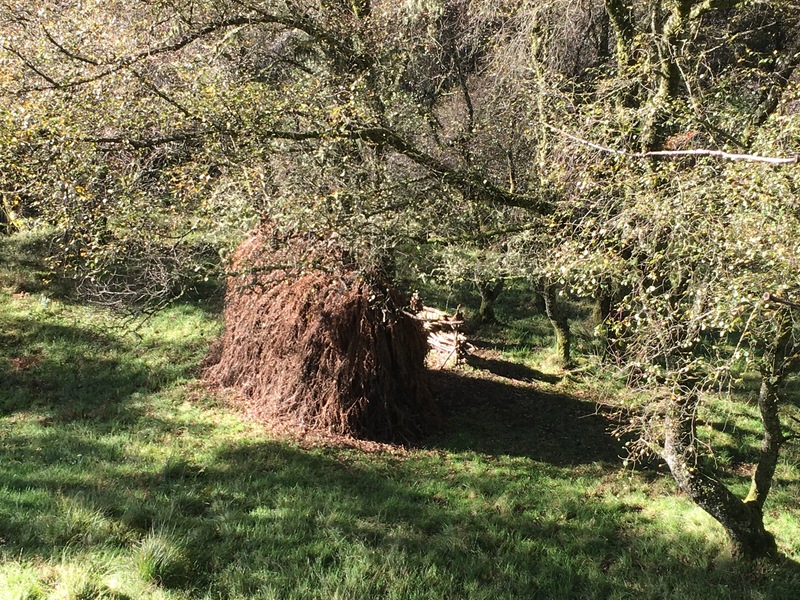 Nearby there was a fallen birch and Rowan tree that would provide lots of building materials and firewood. 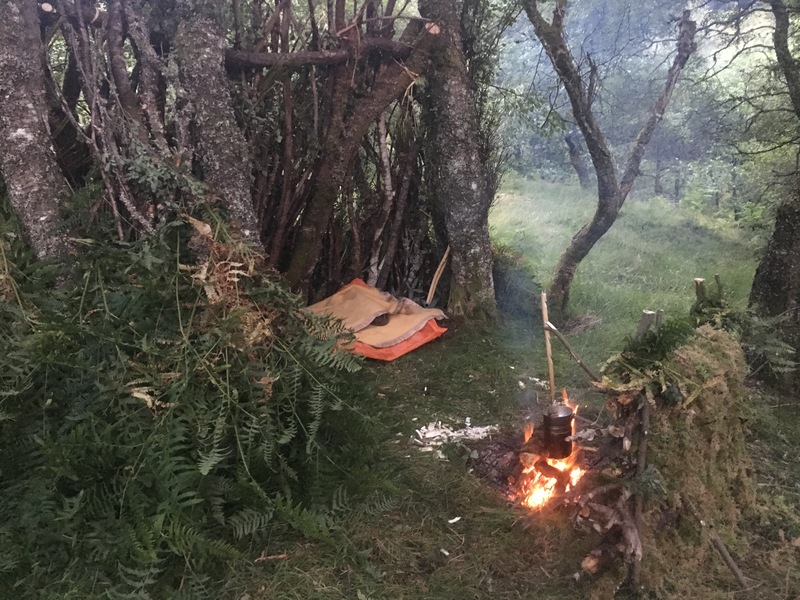 There was also lots of bracken for thatch and spruce for making a bed. 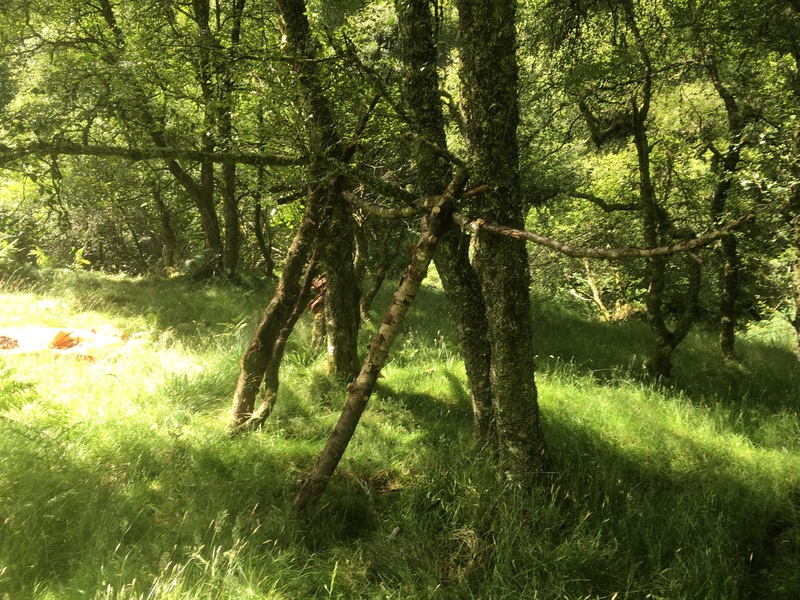 I selected two Y shaped pieces of birch as the main structural ‘lean-to’ parts of the shelter and a long piece of Rowan timber to form the horizontal beam: interlocking the Y pieces. I regret choosing Rowan now for this horizontal part because i think it is more susceptible to rot. Later on in the build I added a third Y snapped piece to add strength and reduce likelihood of the Rowan snapping. Lots of other branches were then added, fairly close together to complete the frame ready for the thatch. This took about 4 hours. I used spruce bows to make bed. A long section of Rowan on the ground formed the outer edge of the bed and kept the spruce in place. 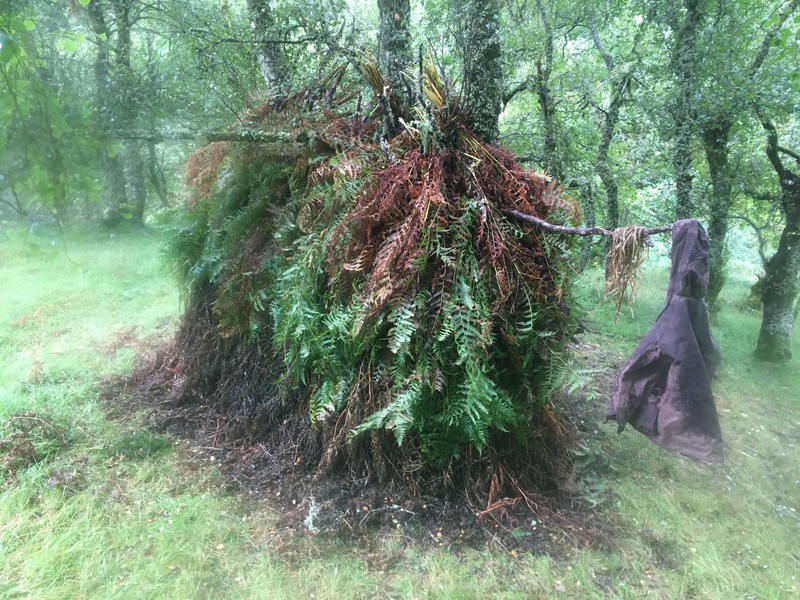 For thatching I collected 20 bracken stems at a time, bundled them together then used one stem as a withy to tie it together. This worked well keeping the bundle of stems together. I spent about an hour collecting 20 bundles. 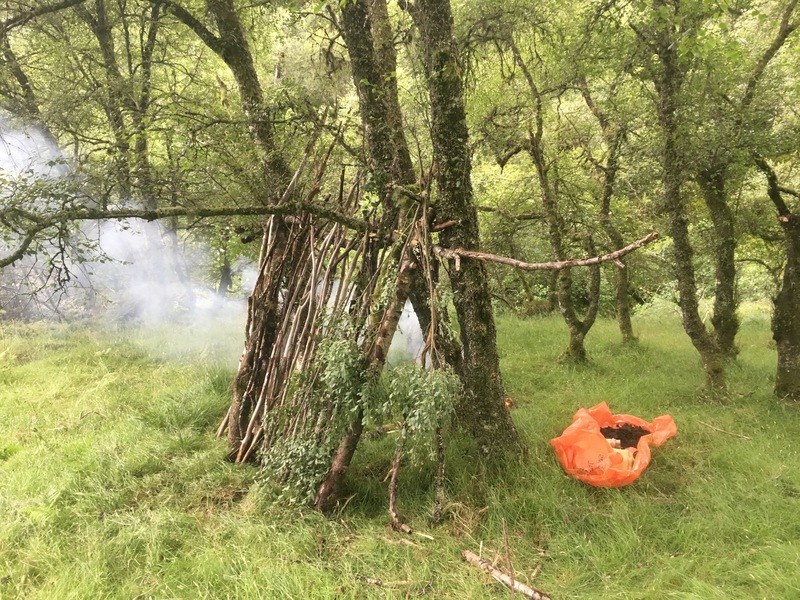 These were positioned, without and ties or cordage onto the shelter, positioning them at the base then working up. 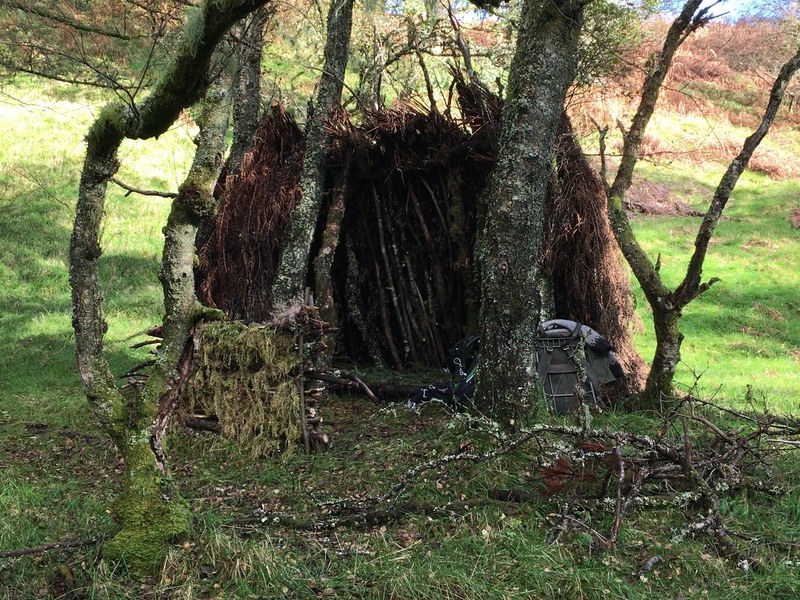 The thatch was only partially complete before spending my first night in it. I used a large woollen blanket to sleep in. 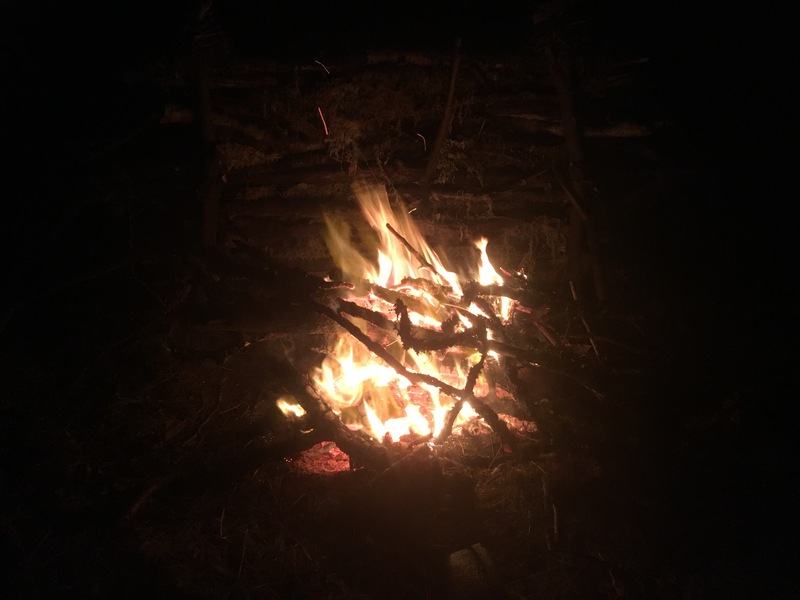 I also built a thermal wall to reflect the heat of the fire into the shelter. The following day I worked on the thatch some more with another 30 bundles. A month later I returned to complete the thatch and try it out in wet weather. Another 30 bundles completed the thatching. 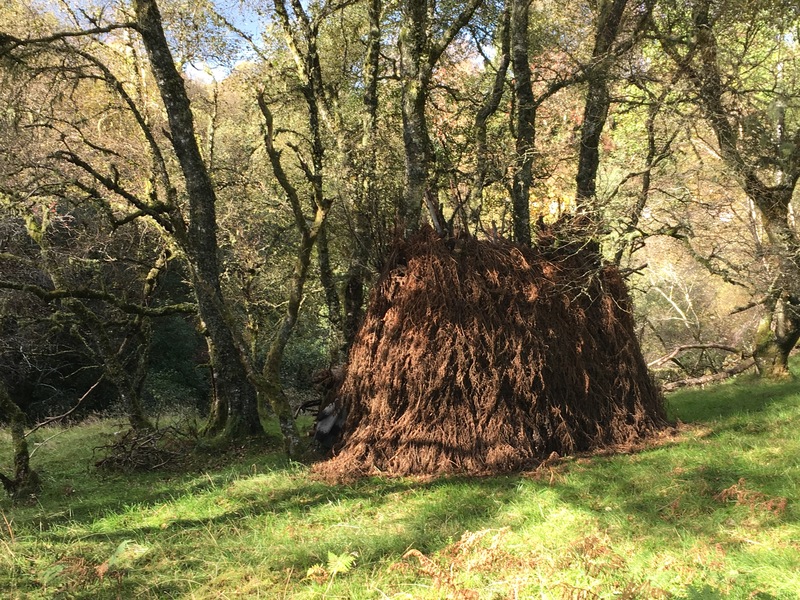 It worked really well in keeping the rain out and over subsequent visits the thatch has remained in place. 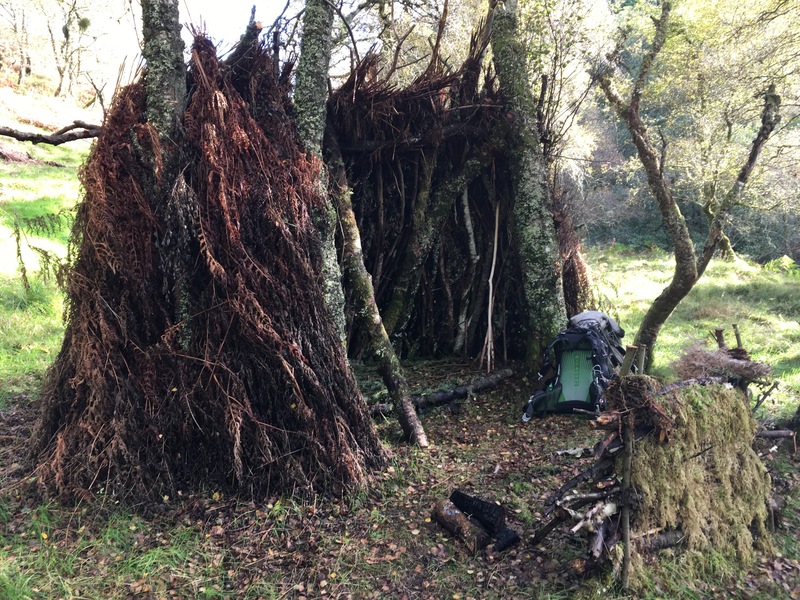 The whole structure is spacious and robust and makes for a good base for bushcraft projects.